The CBC4 Class Canal Boats. 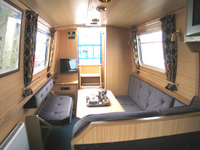 Design : This boat is a 45ft long, 4 berth cruiser stern narrowboat. It has a quiet water-cooled diesel engine with simple to use controls. 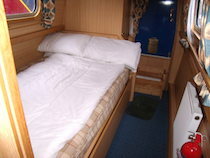 Berth : As this is a 4 berth boat, there is a fixed double at the front of the boat, in its own private room. 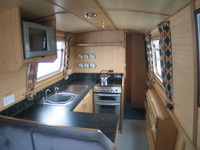 There is also a dinette/double conversion at the rear.